A species of cereal grain grown for its seed. 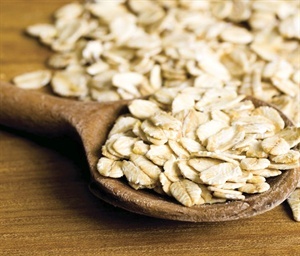 Oats are used in food, drinks, to feed livestock, and to soothe skin conditions. Its rough texture makes it a natural exfoliant. It is also absorptive, hypoallergenic, and helps to soften skin.